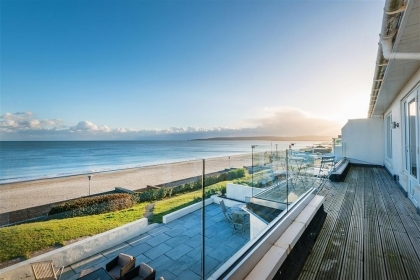 Superb beachfront property in Sandbanks with far reaching sea and beach views from the spacious terrace, sleeps 8 in 4 luxurious bedrooms ideal for groups or families. 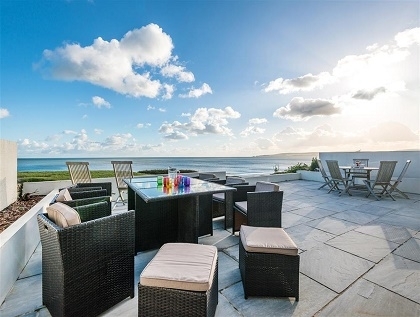 There is a private path from the rear of the house (accessed by other residents) which leads directly to the promenade and to the sandy beaches stretching along the coastline. 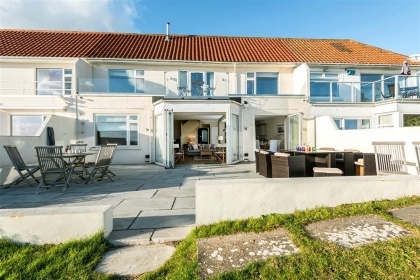 Entrance into a large hallway with the ground floor featuring a cloakroom, L shaped modern open plan living room, double bedroom with fantastic direct sea views, twin bedroom with front aspect and a shower room. 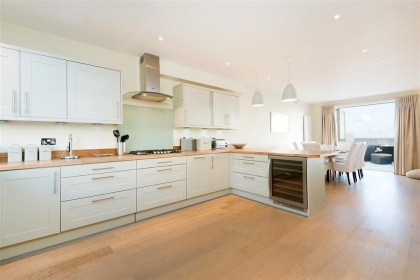 The kitchen area has dishwasher, microwave, washing machine, tumble dryer, fridge/freezer, wine fridge, double oven, four ring gas hob with extractor. There is a good supply of cutlery, crockery and kitchen equipment. 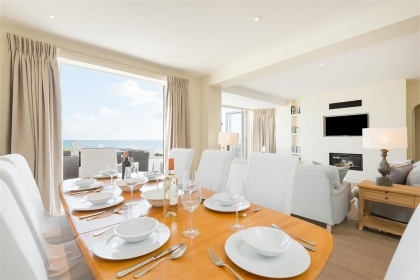 The dining area seats 8 guests comfortably and has 180 degree panoramic views of the sea and the coastline. The lounge area offers modern furniture, wall mounted TV with BT sport, Freeview channels, a DVD player and a speaker system with Bluetooth. There are a number of books, games and leaflets about the area and also binoculars to study the local bird life or passing ships. 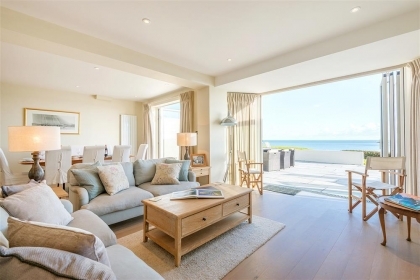 In the middle section of the house there is a gas burning log fire set into a chimney, ideal for those cosy winter stays by the beach. 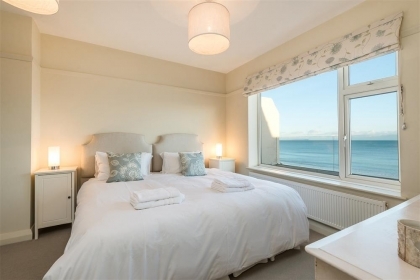 The first floor features a master bedroom with a super king size bed and has direct sea views, a twin bedroom with sea views with en-suite shower room. 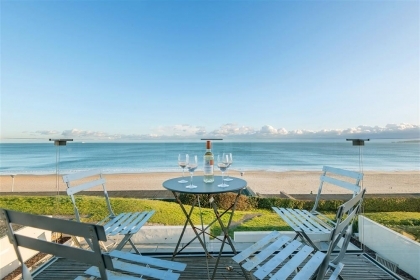 There is a family area with seating and doors opening onto the balcony with table and chairs. The family bathroom features a bath with shower over, w/c and wash hand basin.